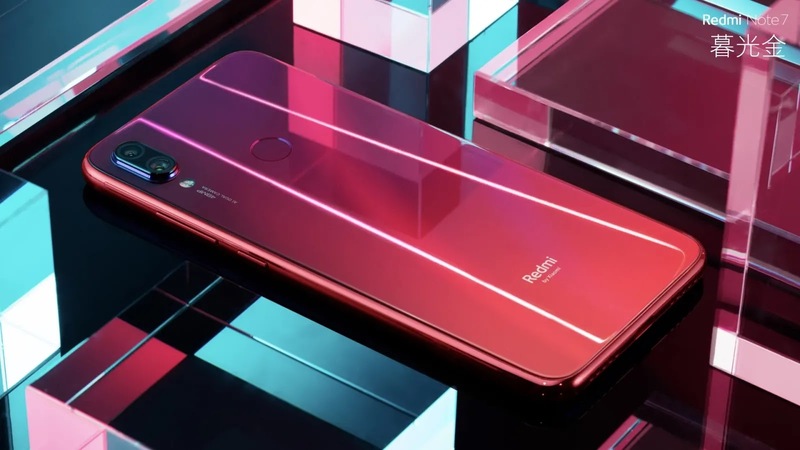 Smartphone manufacturer Xiaomi has launched Redmi Note 7 under its sub-brand Redmi. This phone is the first smartphone that has been introduced after becoming a separate sub-brand of Redmi. Right now it has been launched in China. It has not been informed at this time when it will be launched in India. This phone has been made available at the initial price of 999 Chinese Yuan i.e. approximately 10,300 rupees. 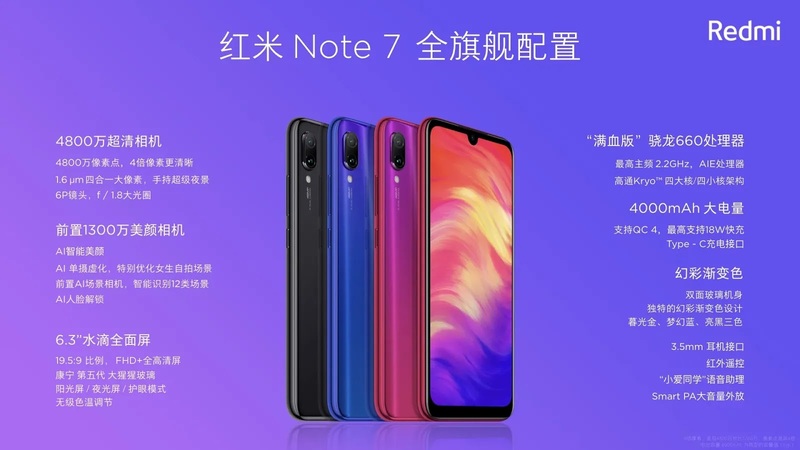 Xiaomi Redmi Note 7 is launched in three variants. Its 3 GB RAM and 32 GB storage variant cost 999 Chinese Yuan i.e. around 10,300 Indian rupees. At the same time, its 4 GB RAM and 64 GB storage variant costs 1199 Chinese yuan, which is approximately 12,400 rupees. Apart from this, the price of 6 GB RAM and 64 GB storage variants is 1399 Chinese Yuan i.e. about 14,500 rupees. It can be available in Twilight Gold, Fancy Blue, and Bright Black Color variants. It will be made available from January 15th. Talking about the specifications It's Dual-SIM Smartphone. It works on Android Orieo+ based on MIUI 9. It has a 6.3-inch full HD+ Plus LTPS display with a pixel resolution of 1080x2340. Its aspect ratio is 19.5: 9. It has the brightness 450 nits, 84 percent NTSC cover gamut, Corning Gorilla glass 5 and 2.5D worn glass protection. For the power, This phone is equipped with a 2.2 GHz Snapdragon 660 octa-core SoC paired with Adreno 512 graphics, and 3GB, 4GB, and 6GB RAM options. Internal storage is at 32GB and 64GB options with the option to expand further using a microSD card slot (up to 256GB). The dual rear camera has been provided for photography in Redmi Note 7. It has a 48 megapixel Samsung ISOCELL GM1 48-megapixel Ultra Clear sensor as the primary sensor., which has an aperture f / 1.8. At the same time, the second sensor of 5 megapixels has been given. There is also the support of LED flash. Redmi has used The company claims with the help of the Samsung lens, the Redmi Note 7 can capture poster-level HD photos. Also, it can shoot amazing photos in low-light conditions by combing four pixels into one large pixel. Speaking of the front camera, the phone has a 13-megapixel selfie sensor. To give power to the phone, a battery of 4000 mAh is provided, which supports Quick Charge 4. For connectivity, the phone has features such as USB Type-C port, 3.5mm audio jack, 4G VoLTE, Bluetooth and Wi-Fi. 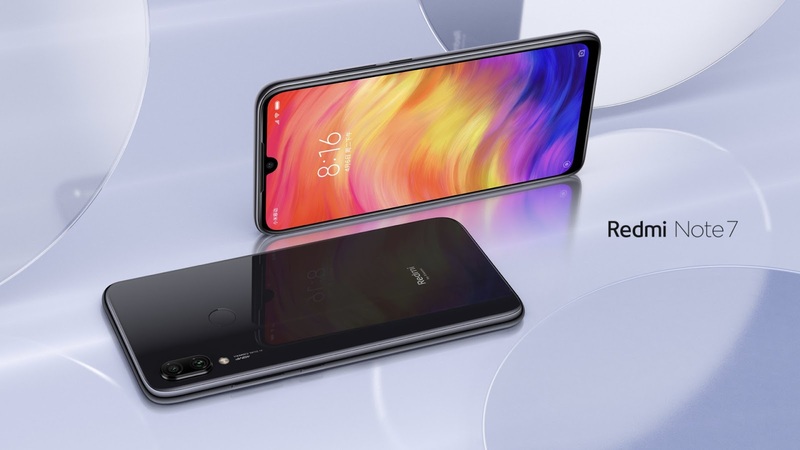 Connectivity options on the Redmi Note 7 include USB Type-C port, 3.5mm audio jack, 4G VoLTE, GPS, infrared blaster, AGPS, GLONASS, Bluetooth v5, and Wi-Fi 802.11a/b/g/n/ac. The pre-sale of the phone starts today, and it will be available for buying from Jan. 15 from 10:00 AM. Lastly, Redmi has revealed that there will be a Sony IMX586 48-megapixel camera edition of the Redmi Note 7 coming in the near future. This handset will be hitting the market as Redmi Note 7 Pro.